Now, there are a ton of things Bali gets culturally “right” in my opinion. From the flower mandalas outside of homes and shops, to the glorious fresh healthy food available everywhere, to the near zero percent of the population that is homeless, Bali is a bastion of peace and wellness. But one of my favorite things I discovered in Bali was the pure gold face mask. I had seen masks done like this by brilliant estheticians in London and LA, but for outrageous prices with even more outrageous claims. It wasn’t cheap in Bali, either, as it came with a full facial treatment. But witnessing the method they used, I quickly realized I could do something similar at home. I order a package of 24K gold leaves from Etsy.com ($30). The gold is food-grade and comes from Thailand, so it takes awhile to arrive in Los Angeles. Because of that, I always make sure to order more before I run out. Then, I simply wash my face as I normally would, making sure to get every last bit of makeup off. I cleanse two or three times, usually starting with a micellar water makeup remover, then doing 2 rounds of Clarisonic ($129) with a cleanser. I want my face to be REALLY clean. Next, I apply a liberal amount of my favorite moisturizer, Ren Evercalm Global Protection Day Cream ($45). This is part of what helps the gold stick to my face, so I am very generous with the amount. I find that this mask makes my skin plump and radiant. 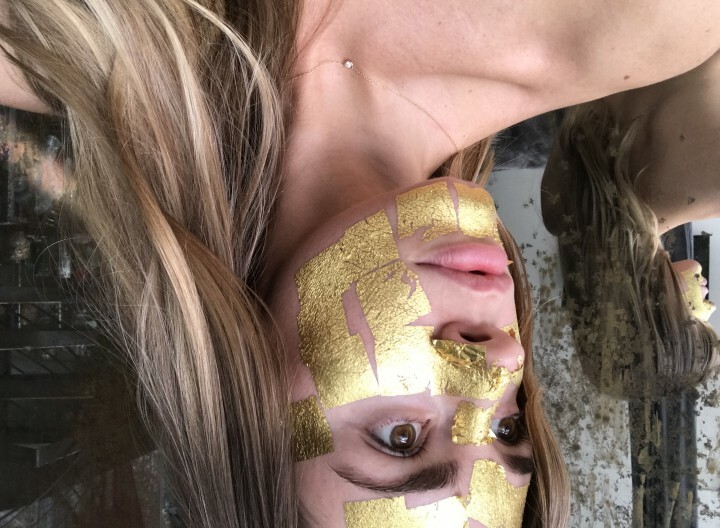 It’s not a mask that will magically transform your skin in one use; this is more of a special occasion treat, for when you want that extra bit of glow. In other words, less treatment, more treat. My favorite part of this discovery is that for $30 and a little patience and DIY, I get a brilliant mask that makes my skin look nearly perfect without makeup. Many luxury brands charge hundreds of dollars for “gold-infused” products, but I feel that I’m getting a superior experience at a relatively inexpensive price point. 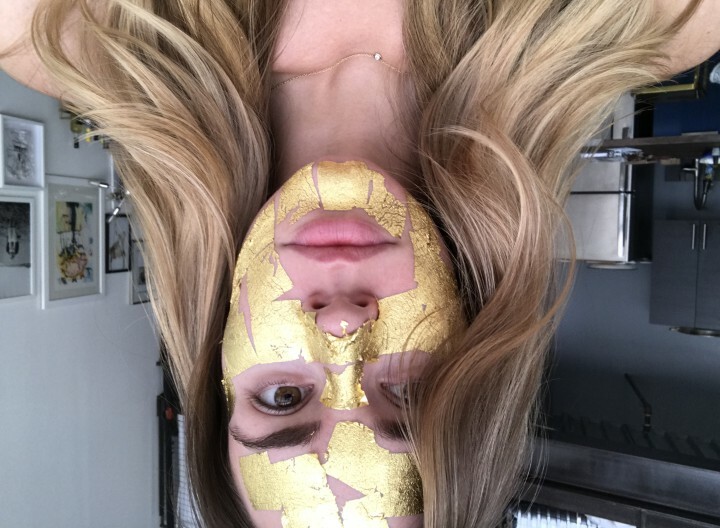 One package of 100 sheets of gold allows me to do about 5 face masks, which works out to $6 per mask. Luxury at a bargain! Also, Cleopatra was rumored to do this every night. If it’s good enough for her, it’s good enough for me!